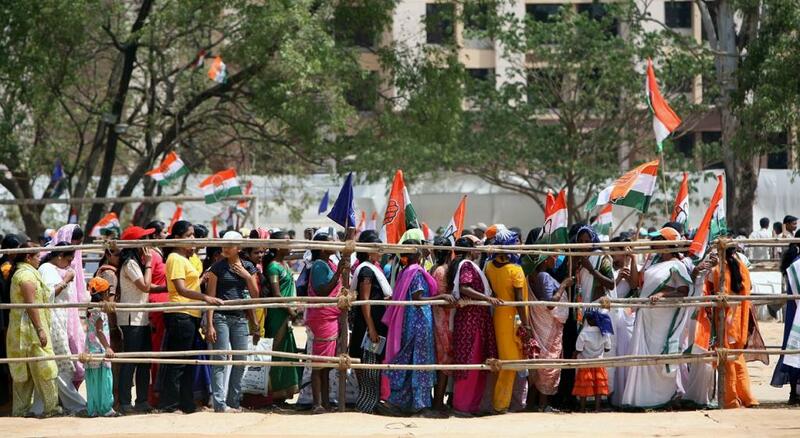 Karnataka elections: do social welfare schemes ensure electoral victory? In the last few years, several governments, which were relying on social welfare schemes for electoral win, were defeated. Ashok Gehlot’s government in Rajasthan is one such example. Karnataka is the state that changes its chief minister after every five years, and this is happening for at least 30 years now. After much tussle over who will form the next government, BS Yedurappa today took oath as the new Chief Minister. His cabinet will be named only after he proves his strength in a floor test at the assembly. For that, we have to wait to see how the coming days pan out. During the election campaign, it was quite clear that Congress party, under the aegis of Siddaramaiah was relying on its welfare schemes such as Anna Bhagya and Krishi Bhagya to win people’s support. However, they did not yield the result as expected. Since Siddaramaiah came to power, he worked throughout his tenure to consolidate AHINDA (local acronym for minorities, backward classes and dalits) votes and these welfare schemes were the tool to win confidence of the marginalised communities. It was being said that his work for AHINDA stood between Congress and BJP. Among the list of these welfare schemes, Anna Bhagya was most popular and it has benefitted at least 40 million people across the state. Since the announcement of the scheme, the state government has allocated Rs 15,380.7 crore, according to Pratibimba, a Karnataka government dashboard. Under the scheme, the government was providing free grain up to 35 kg to beneficiaries. Similarly, the state government initiated a Krishi Bhagya scheme for agriculture. The government claimed improving rain-fed agriculture through this scheme by offering financial support to farmers for creating farm ponds to collect water run-offs. The government was also helping farmers to procure polythene to restrict percolation and diesel pump sets to lift water. While the Congress government was relying on these welfare schemes to garner votes, it has somehow managed to come second. So, the question is whether welfare schemes are enough for political parties to remain popular among people. Down To Earth asked this question to experts. Narendra Pani from National Institute of Advance Studies says that a cynical viewpoint emerges out of the election results, which suggest that schemes aimed at very poor do not really have a large enough pool of beneficiaries to ensure electoral victory. In the last few years, several governments, which were relying on social welfare schemes for victory, were defeated. Ashok Gehlot’s government in Rajasthan is one such example. Ashish Ranjan, a senior researcher at Trivedi Center for Political Data, Ashoka University, Haryana says that there is simple logic to understand this. Congress has managed to get around 38 per cent of votes so far. In 2013, the party got only 36.5 per cent vote, which is an increase of 1.5 per cent of votes. The beneficiaries of social welfare schemes have definitely backed the government, affirms Ranjan. However, the Congress party failed to get extra three or four per cent voted share needed to convert them into seats, he says. Ranjan has travelled extensively during the election campaign to understand the public mood. While Bharatiya Janta Party emerged as the single largest party with 104 seats, it stopped far short of 150 seats it was hoping to get. This is despite the fact that Prime Minister himself was engaged in the campaign.